The Ascension of Christ is His glorification. "After the Lord Jesus had spoken to them, he was taken up into heaven and He sat at the right hand of God" Mark 16:19. Although the place of the Ascension is not distinctly stated, it would appear from the Acts that it was Mount Olivet. 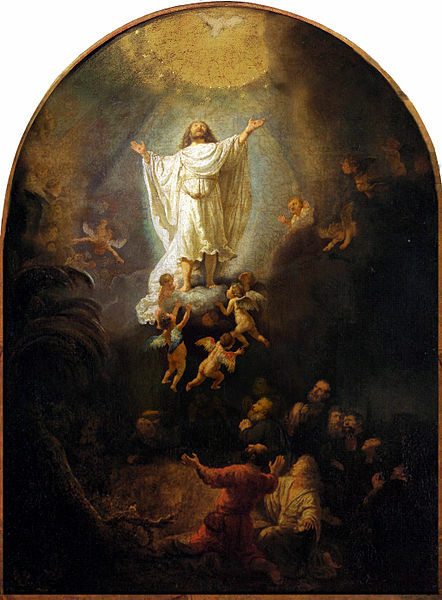 The Feast of the Ascension, commemorating the Ascension of Christ into heaven, according to Mark 16:19, Luke 24:51, and Acts 1:2, take universal observance the fortieth day after Easter Sunday.